I actually forgot about Five Minute Friday this morning. I thought of it when I woke up early, then I drifted back to sleep and didn't think of it again until just now! But here I am--better late than never, right? Today our writing prompt is "Tell." Yesterday my husband told me the news: his cousin Sandy (not her real name) is in hospice. Sandy is in her early forties and has terminal cancer. She has children, some still young, but the oldest in her early twenties. Her children do not yet know that their mother is dying. My first thought was, "How can she not tell them?" Especially the older children should know, right? But then I thought, "How could she tell them?" How do you tell your beloved children that Mom is going to die? Sooner rather than later? I cannot imagine how hard that must be. How will the children react? Will they be angry at God? Will they wonder what's going to happen to them? Will they be angry at God? Will they be angry at Sandy? I don't have the answers. We are not close, geographically or relationally, to Sandy and her family. All I can do is pray ... for Sandy, for her children, for the rest of her immediate family. Pray that they are able to find peace. Pray that they don't pull away from the Lord in anger. Pray that Sandy draws close to Him and draws strength from Him. Just pray. 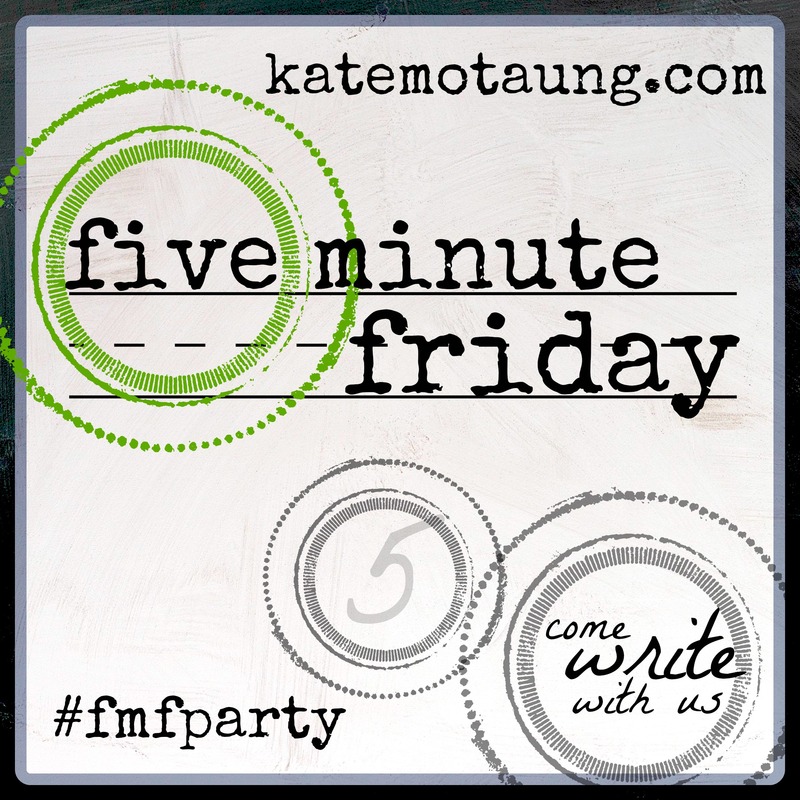 Click the FMF logo or link at the top of this post for more Five Minute Friday. Melissa, I'm right here with you praying. Impending death is such a difficult thing... and if she's in hospice, it's even sadder. My condolences to your husband's family. I hope they're able to talk to each other before it's too late. There will be anger - and anger's okay. But it needs to be soothed with the healing that comes with communication. I hope she is able to tell them. I've always wondered how life would change if you knew you were dying. I wonder how it would change what you do and say. I hope the family can get past the the announcement of the cancer and into what really needs to be said. Such a powerful post. Stopping by from FMF. Oh, what a tragic situation! It's never easy to share horrible news. When my husband was ill (he was being treated over 1000 miles away from our home), rumors of his soon demise often reached our children before I had a chance to talk to them. One classmate informed my oldest daughter, "Well, when your dad dies your mom can marry my dad and we'll be sisters." Um...we're still dealing with the trauma from that time period (12 years ago), even though my husband miraculously recovered. That is such a sad situation, but I do hope they find the strength and words to tell the children soon. I've thought about this myself, given my own situation, and still can not fathom what I would do our say. Such a difficult situation. I have wondered myself how I would tell my family if I got that kind of diagnosis. Praying for peace and wisdom. If you'd like to shower "Sandy" with some anonymous cards, e-mail CardShowerRequest@gmail.com. Some pretty amazing women blessings send out cards, some homemade. Prayers!